Melissa Hege, AICP of South Florida-based Melissa Hege City Planning LLC. takes a trip to Paris, to provide a few transportation planning tips on how to improve mobility in our communities. As the epicenter of all things chic, I couldn’t have been more thrilled to return to Paris last summer. 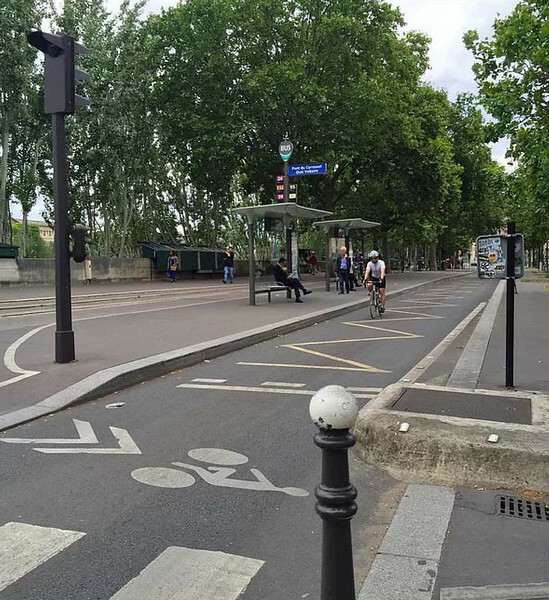 Like Bordeaux, Paris has masterfully retrofit its streets and roadways to accommodate bicycles and buses without disrupting the city’s beauty and charm. Listen up Miami. 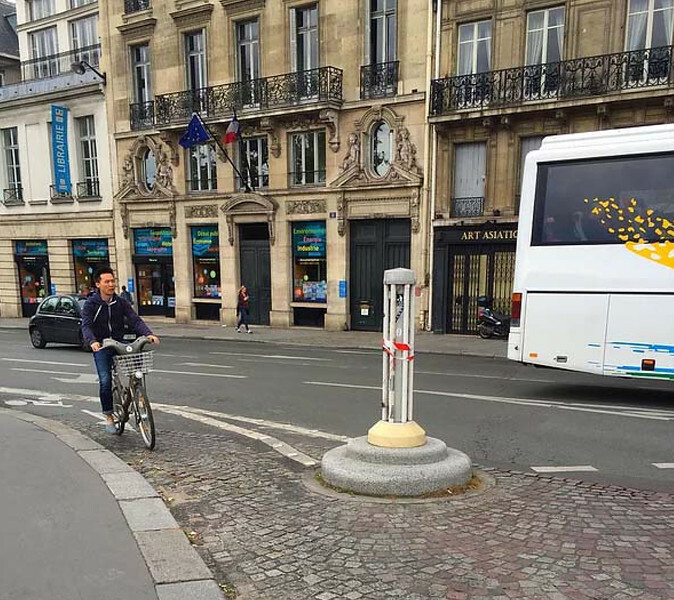 If Paris can retrofit their streets for bikes and buses, so can we! Here’s how. Paris takes bikeshare to a whole new level. The bicycles are not a commercial advertisement for the vendor’s sponsor (so American). 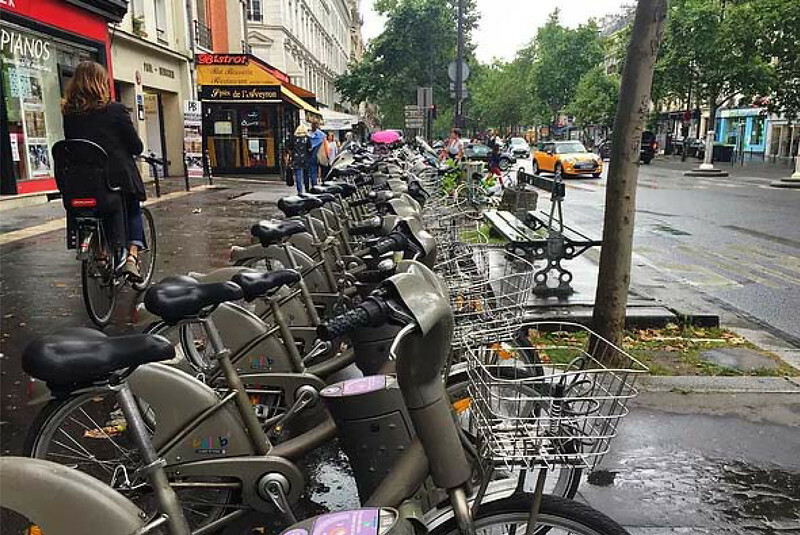 Paris’ bikes are quintessentially Parisian from the subdued neutral gray color to the European style bicycle frame. Select bikeshare bicycles that reflect the city’s style. 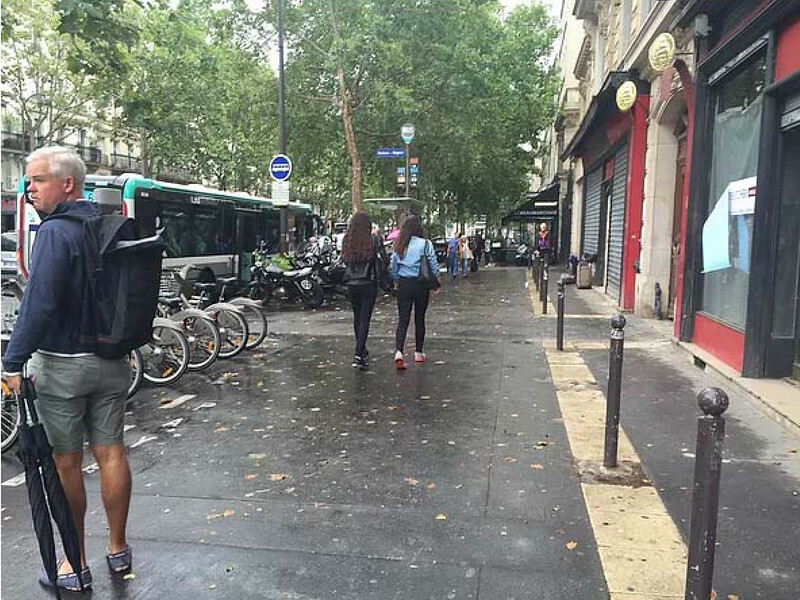 Wide sidewalks are all the rage in Paris. What makes this sidewalk so great are the different zones which tell people how to use it. Bicycle and motorcycle parking along the edge, walking in the middle and a protected zone along the storefronts. Pavement markings, paving patterns and bollards help to delineate these areas. For cyclists, painted bike lanes don’t offer much protection from cars especially at intersections. Here’s a clever way to keep cars from swerving into cyclists when making right turns. An oversized bollard routes cars away from the bike lane. Brick paving and pavement markings alerts cyclists and drivers that the intersection is approaching. 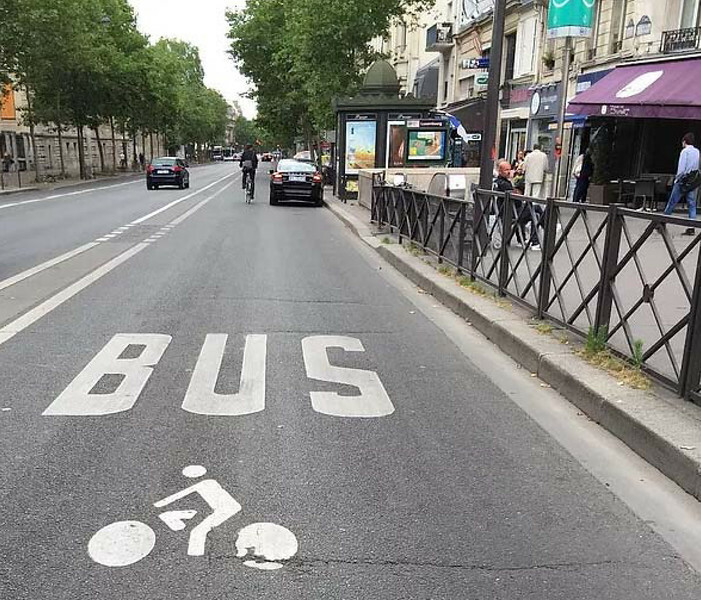 When space is limited, bicycles and buses share the same lane so that more space can be created for a center sidewalk and cozy bus shelters. Look at the cool yellow pavement markings that indicate the lane is shared and the white directional markings for bicycles crossing the shared lane. Here is a cacophony of pavement markings. You may have to be a native to know exactly what they all mean, but there’s room for bicycle parking, delivery vehicles, bicycle traffic, car traffic and pedestrian crossings. Phew! Are you starting to notice a theme? 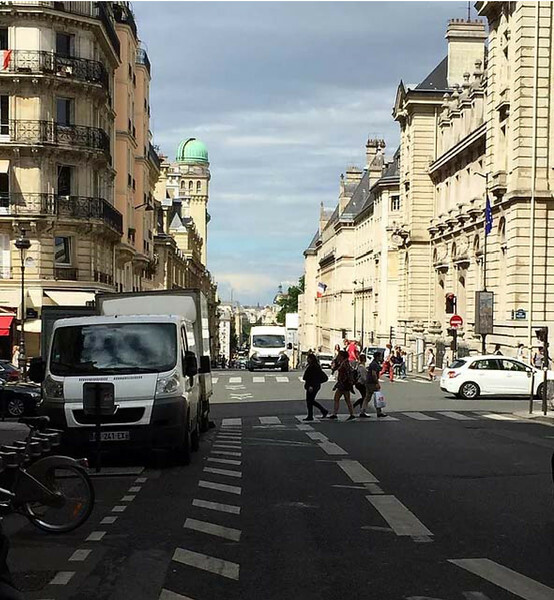 Parisians like to share lanes with bicycles and buses. Makes sense. The bus is more efficient when it doesn’t have to drive with traffic and bicycles can take advantage of these wide open lanes for an easy and relatively stress free cycling experience. Another nice feature is the ornate metal fence which separates the sidewalk from the bus/bike lane. Creates a comfy sidewalk to accommodate cafe seating.